One of my lovely Stampin' Up team members celebrates one year as demonstrator this month and of course I had to send her a little something to celebrate. 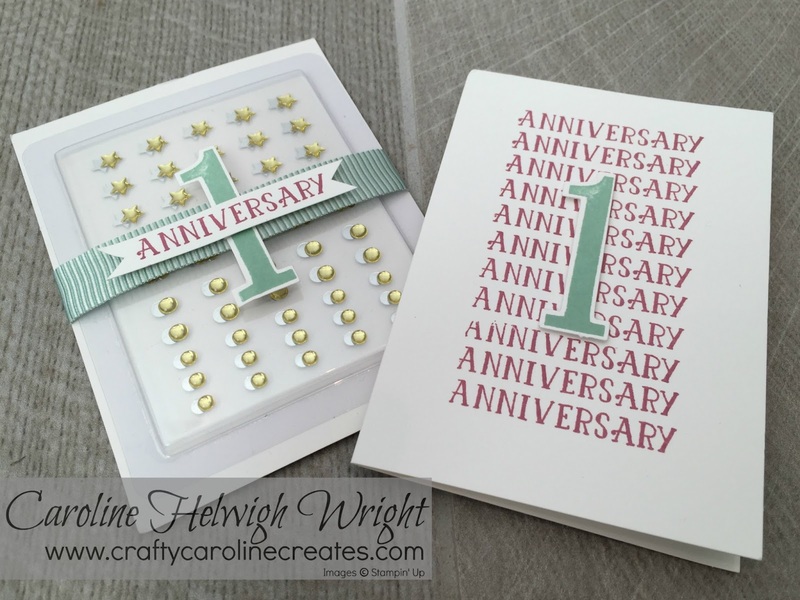 Number of Years and the matching Large Numbers framelits made for the perfect card and gift. My colour combination is Sweet Sugarplum and Mint Macaron - I would never have thought these would go so well together - but they really do! Congratulations on your anniversary Sim - so pleased you choose to join my team.